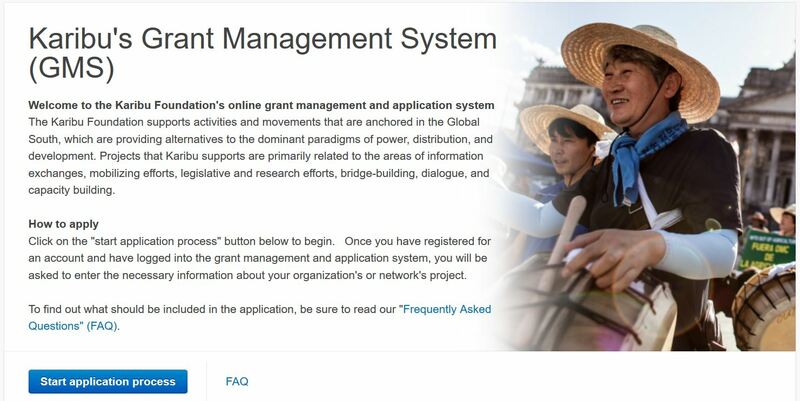 Karibu now receives all applications online through our Grant Management System (GMS). Deadlines for the second half of 2019 will be posted at a later date. Applications must be sent to us in good time, so that our processing can be completed well in advance of suggested project start dates. 1. Please read the Frequently Asked Questions to learn more about Karibu and our grant requirements. 2. Register for a new account to start the application process (if you do not have an account from before). 3. Login to the GMS, and click the “start application process” button within the system.